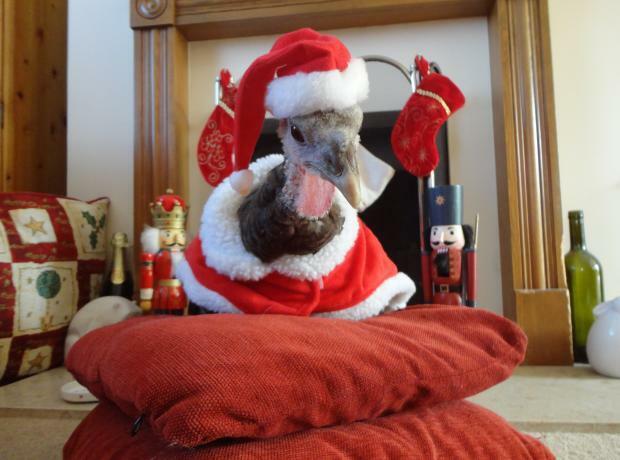 After the BIGGEST ever GSPCA event on Easter Sunday a call came into our GSPCA emergency line not for what you would expect such as an Easter bunny but instead for a Christmas turkey. 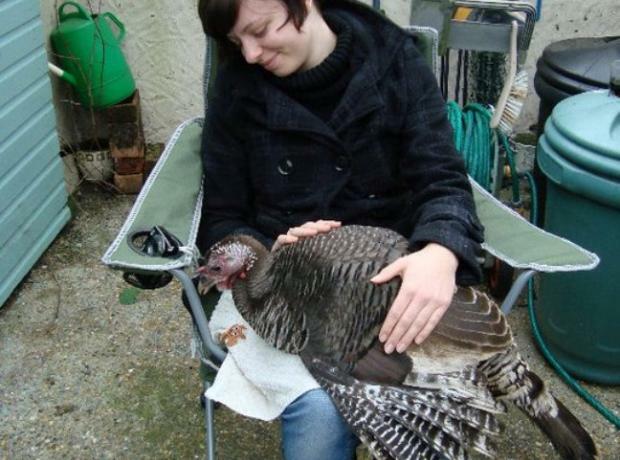 A stray turkey had been spotted in St Martins and GSPCA Ambulance Warden had to rescue the bird while many around Guernsey enjoyed their Easter Eggs. The bird is doing very well at the GSPCA and we are currently appealing for the owner to come forward. At the GSPCA we would like to remind islanders the important message that pets are by no way an ideal Christmas gift and much thought and care must be taken before bringing an animal into your home. We currently have almost 300 animals in our care, with many in need of homes and we want to ensure each one finds its forever home and not a home just for Christmas. 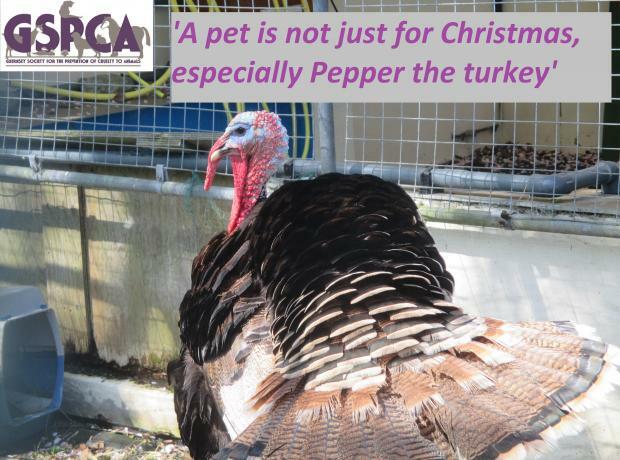 This is certainly the case with Pepper a 2 1/2 year old turkey who is in need of a very special home. He came into our care earlier this year as he wasn't keen on men and the owner kindly asked us for help. This Christmas another turkey decided to skip the Christmas table by escaping. On Christmas Eve Cranberry joined the team at the GSPCA Animal Shelter after being found straying in L'Ancresse. 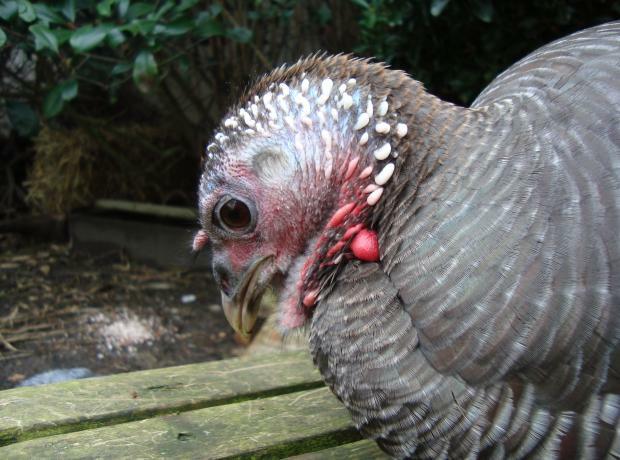 This is the third year in a row the GSPCA has had stray turkeys brought in to the Shelter and if you are missing any animal then the GSPCA would urge you to get in touch as we have had a number of strays in over the festive period. The GSPCA are appealing for the owner of a stray white turkey that has been at the Shelter for over a week. Kiki as she has been fondly named was rescued from the Forest Road area on Saturday the 4th August after being reported to the Shelter wondering the streets. She has been under treatment and is doing well but as yet no owner has come forward. Kiki has a very friendly nature and staff are confident that there must be an owner that is missing this lovely bird and we are hoping to have them re-united. I then got the message I was waiting for, that I could re home her, so opted to collect her at the weekend. In preparation I bought some wood and made her some perches and also found out that turkey’s love to perch on straw bales. So, me being me of course had to get her one of those! Many phone calls later I managed to locate some for sale, and I have to say that squashing it into my Smart car was quite an amusing experience. So there I was, ready for her arrival and generally annoying people by telling anyone who’d listen how excited I was to be getting her! 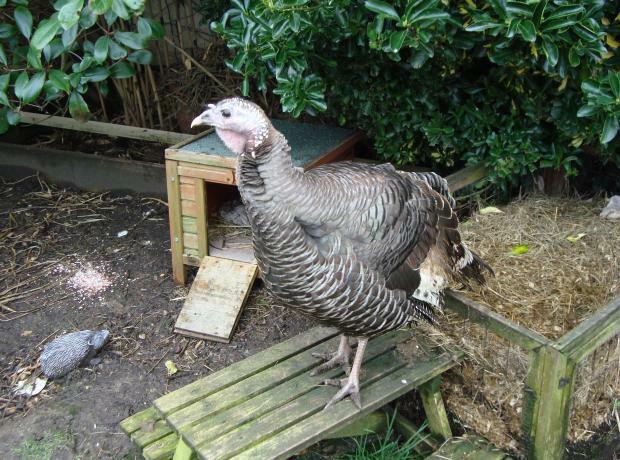 A couple of weeks before Christmas, a turkey hen which had been sighted wondering about on a few previous occasions, was finally captured by a GSPCA staff member. She was placed in a large outdoor aviary at the shelter in order that she be safe, and be able to rest and recuperate. She did not have a leg ring and therefore it was not possible to trace her owner, and no one came forward to claim her. What with it being just before Christmas, there was no intention to re home her in case the new owner’s intentions were not altogether honourable!